1.Pick up your choice of product with the brush,start applying the makeup from the center of the face. 2.Using a “Push and Pull” motion,glide the brush across the surface of the skin to blend. 3.Finish off blending with light,circular motions. 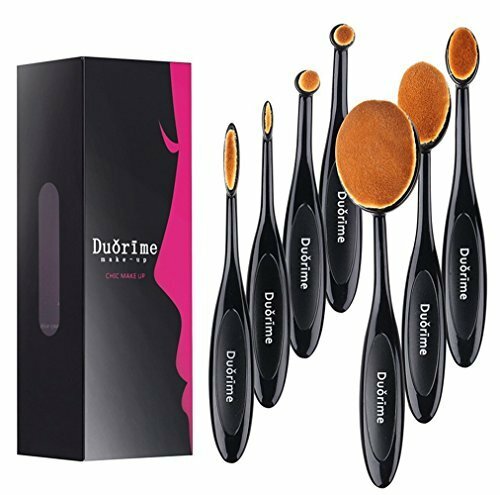 Remarkable Vision–This oval brush made exclusively with well selected raw synthetic fibre, a revolutionary, engineered fibre made for applying cosmetic and makeup products. 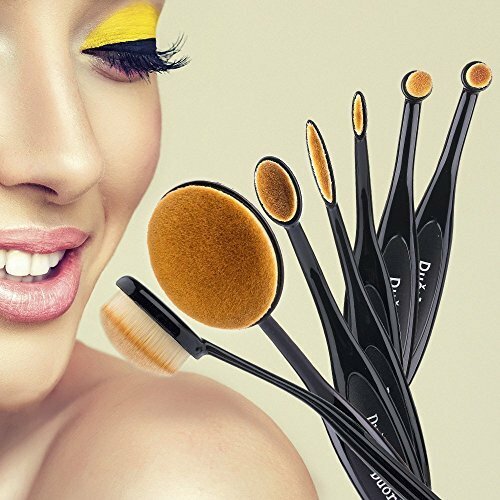 Versatility Function-The hightest quality are truly more silky soft and fine density.This is the secret of the best brushes to pickup and distribute makeup products better, from liquid and creams to powder and minerals etc. 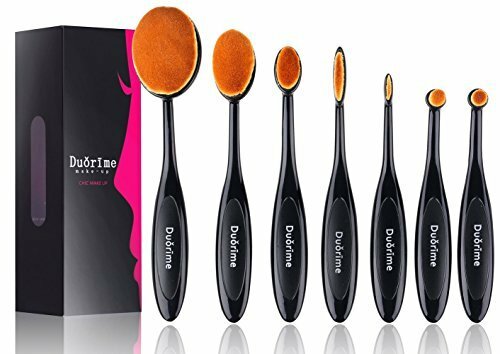 Must Own-2017 new hot design brushes,loved by lots of beauty enthusiasts.And tested by many make-up artists and product designer, and their professional requests leads to improve level-up design. Cover all of your makeup needs–These brushes are rather universal in that they cover all needs in terms of application.